This season has seen contrasting fortunes for the two representatives of the second city of Córdoba in Argentina’s top flight. Newly promoted Club Atlético Talleres returned to the Primera División after 12 years in the wilderness, winning the Primera B Nacional at a canter last season. This was their second successive promotion, having won the Torneo Federal A the season before. All in all, Talleres only lost one league game in two years gaining these promotions and have taken their stubborn, hard-to-beat streak into this season. Their rivals, Club Atlético Belgrano, on the other hand, have struggled this season despite appearing the picture of consistency and stability since their own promotion triumph in 2011 when they defeated River Plate in the promotion/relegation playoff. Between 2011 and 2015, Belgrano finished between third and 10th place, although they admittedly had a poor campaign last time out. Like Talleres, it seems Belgrano have picked up this season where they left off last. 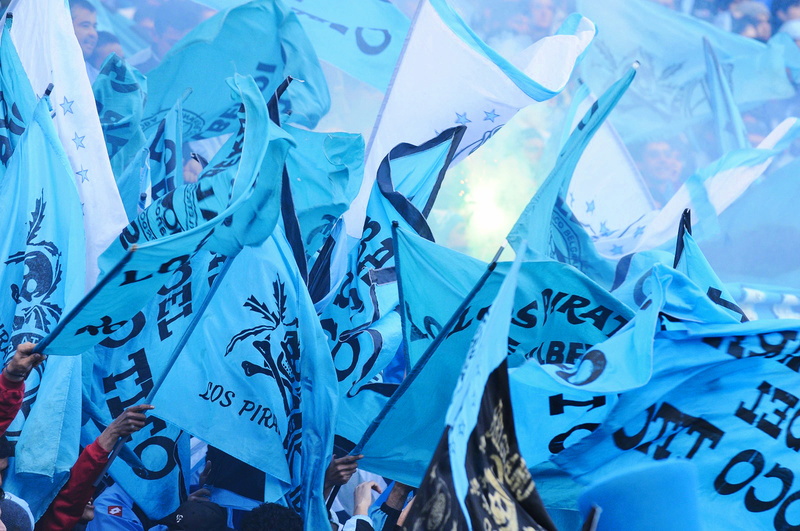 Belgrano currently occupy 27th position in the 30 team league, only five points off the foot of the table. Luckily for Belgrano, due to Argentina’s promedios method of determining relegation spots, they should be safe this season no matter how bad it gets. 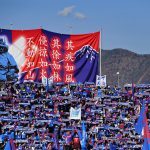 This promedios system works by calculating each team’s average over a three-season period, and critics argue it is designed to favour the big teams, who can have a bad season and still escape relegation. Belgrano currently sit in 18th place in the calculations, with eight teams separating them from the trap door. However, 10 of the 12 teams below Belgrano in the rankings have the same, or worse, score from the 2014 season. What this means is, in simple terms, when those 2014 results are expunged from the promedio standings, Belgrano will be worse off than these 10 teams and will fall closer to the drop zone. That also doesn’t take into account that the Primera División should be reducing in size by two teams per season over the coming years. Therefore a sharp turnaround is needed if Belgrano want to avoid relegation in the near future. Scratching beneath the surface, it is easy to see why Belgrano are struggling. President Armando Pérez is spending less time at the club, seemingly more concerned with his role with the Argentine Football Association (AFA). Back in July he was named part of a FIFA-appointed “normalisation committee”, tasked with running the daily affairs of the AFA until elections are called next June following the disarray Argentina’s FA found themselves in. A stipulation of his position with AFA means he cannot stand in these elections, but it’s hard to think that his personal ambitions aren’t more ambitious than the plight of Belgrano. On the pitch Belgrano have won one game all season – an away win at Unión de Santa Fe back in September. The poor start to the season led to the dismissal of novice coach and former Belgrano player Teté González, who was replaced with former Unión de Santa Fe boss Leonardo Madelón. The team has conceded less goals than grandes Racing, San Lorenzo and River Plate, which suggests defending isn’t the major problem. However, at the other end, Los Piratas have only scored six in 13 league games, with only three players getting on the scoresheet. The playing squad is suffering from a chronic lack of investment, with the average age standing at 29. Goalkeeper and cult-hero Juan Carlos Olave is 40-years-old and even though goalkeepers tend to peak later than outfield players, time is clearly not on his side at the top-level. Midfielder Guillermo Farré, who is closing in on 300 appearances for the club, is 35, as are César Pereyra and Iván Óbolo. Jorge Velázquez and José Rojas are 34 and 33 respectively. Gustavo Bieler, top scorer with four goals, is 32. One player who has, however, bolstered the squad for this season is Matías Suárez, who has just returned after eight years with Belgian giants Anderlecht where he scored 67 goals in 253 appearances, including over 50 appearances in European competitions. Suárez notched his first goal of the season in December, in a 1-1 draw away at Gimnasia in La Plata. One bright spark for Belgrano is the renovation of their El Gigante stadium in Barrio Alberdi. Although this is the club’s spiritual home, the majority of their high-profile games take place at the larger Estadio Mario Kempes on the city’s outskirts, as is also the case with Talleres. Hopefully the renovated stadium will be able to host more games, and Belgrano will be hoping they take place in the Primera División. Talleres, meanwhile, are lying comfortably in mid-table, only eight points off the summit after 13 games. Contrary to Belgrano, Talleres’ squad has an average age of 24, although it is not completely without the guiding hand of experience. Marshalling the defence is Javier Gandolfi, a 36-year-old returning to Argentine football after eight years playing in Mexico. Occupying the cinco position is Pablo Guiñazú, a vastly experienced 38-year-old who won the Copa Libertadores with Internacional of Brazil in 2010 and has appeared for Argentina on 13 occasions. Talleres fanatic Tomi Caballero describes him as “impassable”, a player who this season has been “one of the best in the country in his position”. The defence is solid, keeping seven clean sheets in 13 league games. Like Belgrano, Talleres aren’t exactly setting the goalscoring charts alight, but are finding ways to win, helped by a combative midfield. The performance this season is not a surprise to Caballero, who believes that the fact that the club is so stable off the pitch is allowing the team to flourish on it. The team is able to travel in style to away games, flying instead of going by road, and are staying in nice hotels. Considering Córdoba to Buenos Aires is almost 12 hours by road, travelling in comfort will make a big difference to pre-match preparations. The club also recently celebrated reaching 50,000 members, no doubt aided by the return to the top flight and the impressive start to the season. Down in the Primera B Nacional Cordoba’s third team, Instituto, is going well and will hope to make it three Cordobés teams in the top flight next season. 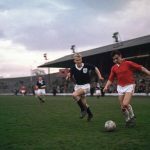 La Gloria, with whom Mario Kempes, Ossie Ardiles and Paulo Dybala made their names, are in fifth place, seven points off the promotion spots. For now, the city has to be content with two teams in the top flight. Belgrano and Talleres will contest the Clásico Cordobés in March in front of a packed Estadio Kempes, and by that stage of the season we should really know who the top dog in Córdoba is.